When it comes to puzzle games, there is often a basic formula used: one main objective, optional goals and progressively more difficult stages. Nebulous hits the nail on the head with the basics. The objective is to guide a sarcastic, narcissistic astronaut lost in space through various stages to return him to his ship. Along the way, optional goals are available for the player such as get up to three stars based on level completion time, the number of attempts and collecting all stars on the playfield. 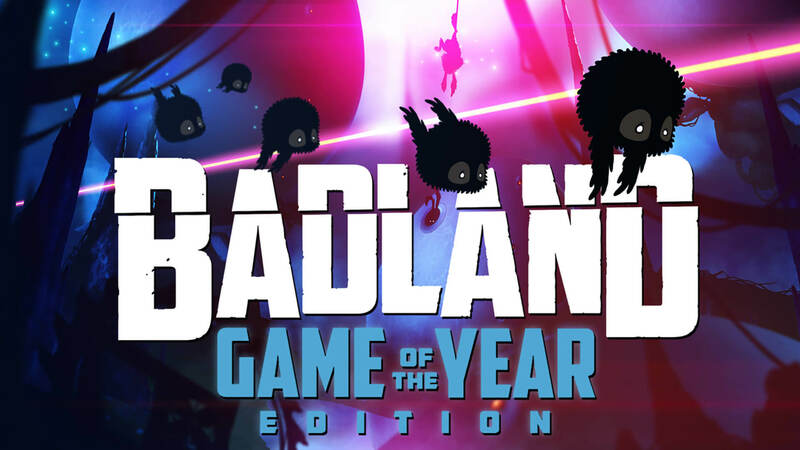 The difficulty progresses by adding additional mechanics and additional playfields per level. In this regard, it succeeds as a puzzle game, however, there is nothing that truly sets it apart. While it has a few entertaining phrases from Commander Dash Johnson, there is a lack of intrigue to make you want to play again and again. 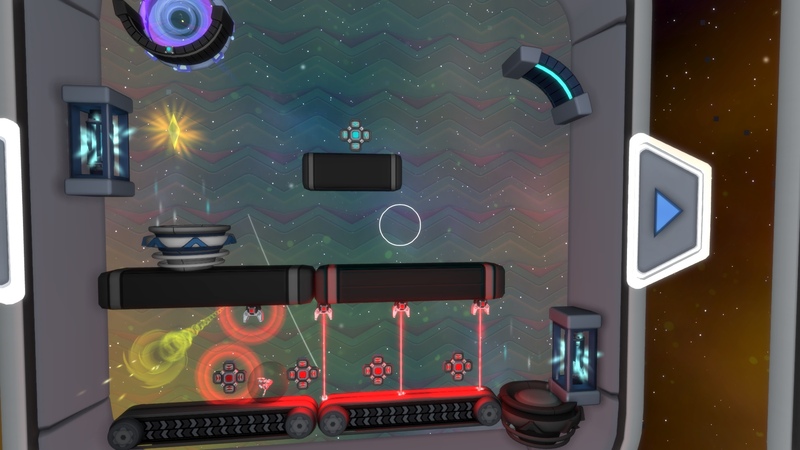 Nebulous has you move platforms, use conveyor belts, avoid lasers and bounce off of space rocks to send Dash back through portals to get closer to his ship. Challenging puzzles — The puzzles start off simple to teach you the basics but quickly start throwing in complicated elements like conveyor belts and laser beams. You will find yourself constantly tweaking each movable object until you get it just right. Much like the board game, Operation, you can’t touch the sides; touching any edge of the playfield restarts the level. Progressively challenging puzzles are a staple of successful puzzle games. Entertaining dialogue — Commander Dash starts each level with some phrase that might render a chuckle. “You hear those rumbling bass notes? That’s how a man laughs.” Some phrases are based on how well, or not so well, you did in the level. If you repeatedly hit the wall, he might say “Everyone who ever loved you was wrong.” This almost makes you want to keep failing to see what else he has to say. 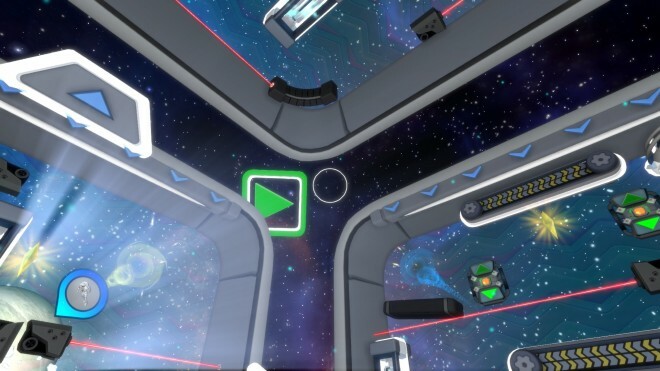 Time clock — The time clock for each level, which determines if you get that star, begins as soon as the level loads instead of when you interact with the first object. This essentially forces you to have to play each level at least twice just to get that star. There is no looking around first to assess the level, that takes too much time. Number of attempts — The number of attempts you make in level is how you get the second star. 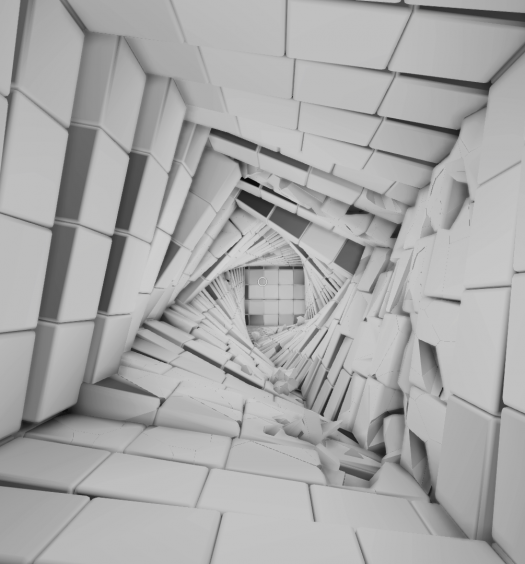 Though there are a variety of paths to solve a level, you still need to make small adjustments to get the path aligned correctly. Because of the time limit, you cannot spend time making these adjustments. You just throw the objects where you think it will work and hope for the best. 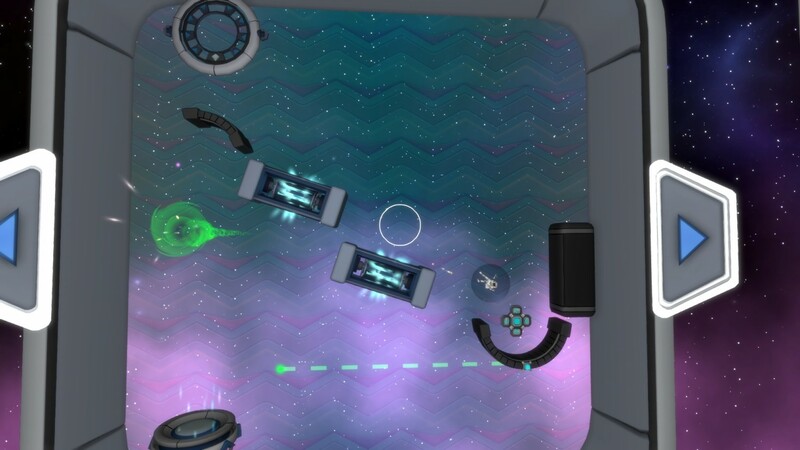 Nebulous is a successful puzzle game in that it meets the general criteria to be one; however, it does not have any element that draws you in and makes you want to play for hours or even complete the game. The two things I didn’t like bring it closer to a game of luck rather than skill. Put objects in place as fast as possible, restart the whole level if you fail and do it again until you get all the stars. It is more along the lines of a game to play as a break from other games or while you are killing a short amount of time. 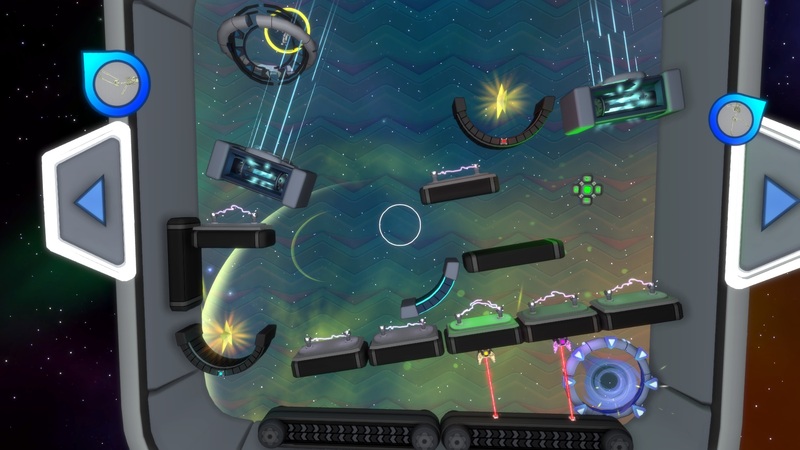 Nebulous was developed and published by Namazu Studios on Xbox One. It released on November 15, 2016 for $14.99. A copy was provided for review purposes.